Geraldine “Gerrie” Jane Dyminski, 79, Green Bay, formerly of R#2 Pulaski, died peacefully Thursday, November 29, 2018, at a Green Bay nursing home following a massive stroke. The daughter of Anthony and Josephine (Kuss) Dyminski was born October 20, 1939, in Angelica and had worked as a caregiver for many years. Gerrie had been a member of Kingdom Hall of Jehovah’s Witnesses in Green Bay. 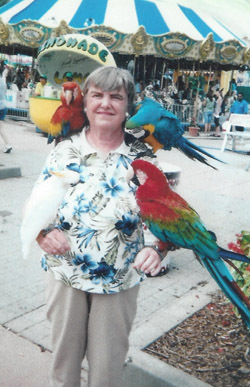 She loved to shop, enjoyed traveling, and especially liked taking photos and sharing them with family and friends. 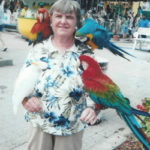 Gerrie was a very caring person and liked being near people. Survivors include one sister, Dolores Dyminski; numerous cousins and friends. Burial will take place in spring in Polish National Cemetery in Pulaski.